At the risk of being politically incorrect, I'm starting a new Galloping Gardener © section today, where I'll feature gardens that are wheelchair friendly! 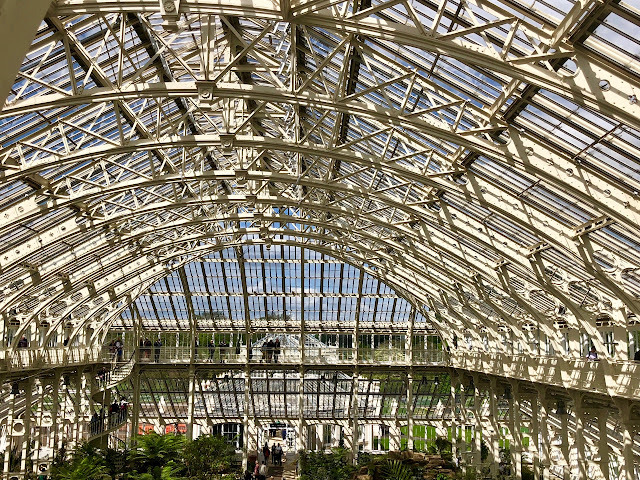 Since starting this blog nearly two years ago, I've visited well over 200 gardens, but never given a second thought to what it must be like to visit if you're not able to walk around them. 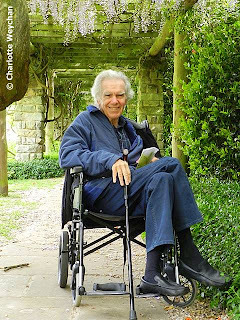 My husband also loves to visit gardens and has been a long-suffering passenger on many of my garden forays, but because of a debilitating illness, he is now using a wheel chair for longer distances. Suffice to say that with me learning to push him, it's put a whole new aspect on garden visits! Our first visit was to somewhere local - Nyman's Garden - which is just a short drive up the A23 from our home. We've been there many times before and knew there'd be plenty in bloom at this time of year, but we've never tried to navigate the grounds in a wheelchair, and with me as a novice driver, this promised to be quite a challenge! All started well and I loaded the wheelchair into my car, thinking that this would be a simple task. I thought of Nyman's as completely flat and couldn't imagine that any parts of the garden would be inaccessible. But on arrival, the first problem was getting the wheelchair out of the car. Somehow, it had locked itself solid into the back and if it hadn't been for help from some passing visitors who saw my predicament, we might well still be struggling! The next potential obstacle was getting my husband through the garden entrance - at Nyman's it's a charming, rustic hut, with double doors. Normally you open only one door, but with a wheelchair, you need both. But again help was at hand and an onlooker ran to unbolt the second door. 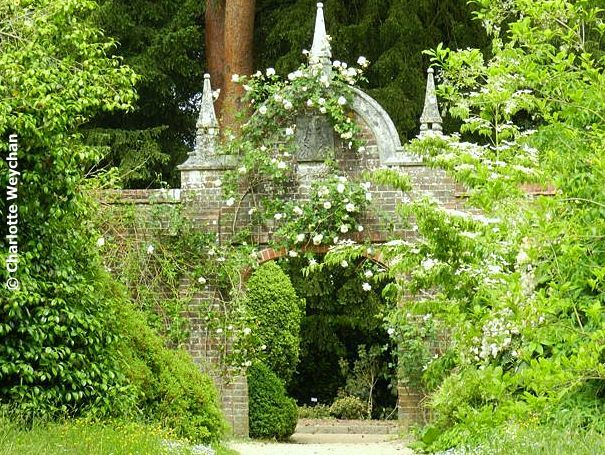 Nyman's has several remarkable features including the walled garden, with its wonderful borders; the Pinetum; the rose garden, which is just coming into full bloom; and the croquet lawn garden, with its wonderful pergola. There is also a wild garden and a rock garden. All except the Pinetum, the wild garden and rock garden are accessible by wheelchair, even if it is hard work pushing over the gravel pathways. It would also help if the wheelchair routes were clearly signposted! We took several wrong routes and had to backtrack when we encountered steps. 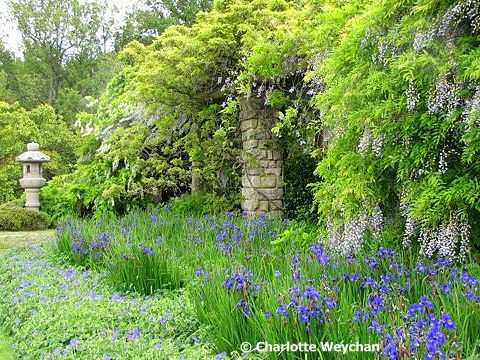 The pergola is exceptional at this time of year, with the wisteria in full bloom, and visiting today made me realise that I'd overlooked it in my Perfect Pergolas feature, which many of you have visited. We particularly appreciated the monthly "Plants of Interest" information sheet we were given on arrival, which included a map of where the flowering plants were in the garden. But what really amazed me about our visit, was the number of people who offered to help, especially when I found I'd taken the wrong route or found myself confronted by steps or an incline. You'd be amazed how even the slightest incline poses a challenge when pushing a wheelchair! But these are all the aspects of garden visiting I'm going to feature on a regular basis in future. We loved our day out and the verdict was: A great garden for wheelchair users; plenty to see and most areas accessible! I am so sorry about your husband's illness but you are really making lemons into lemonade by using your experience to help other people in wheelchairs visit gardens more easily, bravo. Featuring wheelchair friendly gardens is a *fantastic* idea, Charlotte, especially with the kind of description you're giving. Just seeing the wheelchair symbol in a guidebook isn't always enough. My friends who use wheelchairs find it helpful to know exactly the kinds of things you've mentioned about the obstacles they might encounter, as they have different degrees of mobility and may or may not have assistance. I'm sorry to hear of your husband's illness and hope you find many accessible gardens to enjoy together. Nyman's is absolutely lovely! What an interesting perspective. I faced similar challenges when the twins were babies and in a giant double stroller. Places I thought would be easily accessible did have some challenges - especially doors, or 'just a few' steps. It made me think of those in wheelchairs who would face these obstacles for their whole lives. It's wonderful that you and your husband can still share these beautiful spaces together. The topiaries are absolutely magnificent, thanks for the tour. Charlotte, I think this is a great idea. Accessibility in gardens is often overlooked. I personally think this is a fabulous concept for your posts, and I'm sure will prove valuable to many others reading it. It's something that's crossed my mind for visitors here, as much of our property is steep slopes. Even after my own illness, getting around was very challenging for a while! 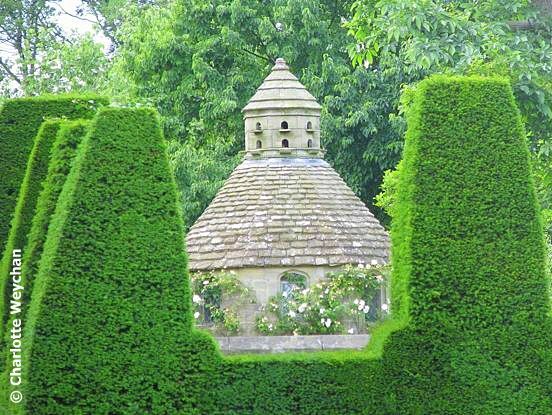 By the way, I sooooo WANT that dovecote! It's gorgeous! I *loathe* the fact that you apologize for being (gasp) politically correct at the beginning of this thoughtful well written essay. What happened to us, that we have to apologize for decent treatment of people with disabilities? What a wonderful idea showcasing a wheelchair friendly garden. I wish there were more around! Hope your husbands health is ok also. On a side note, being wheelchair accessible is also great for us moms with small babes in strollers. I quite often have moms ask me for local stroller friendly gardens. Beautiful post! I'd love to read more about the wheelchair-friendliness (or otherwise) of different gardens too - though I don't have my own I often borrow wheelchairs or buggies from gardens we visit, and find that even those gardens which lend them out often don't have properly accessible or well-signed paths for disabled people. 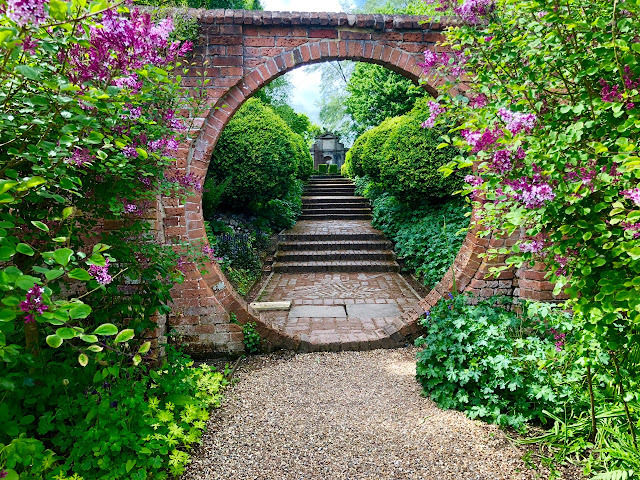 One National Trust garden's "wheelchair route" led to a small door cut through a big gate - you had to step up several inches to get through it! Having said that, our local (Anglesey Abbey) is brilliant. 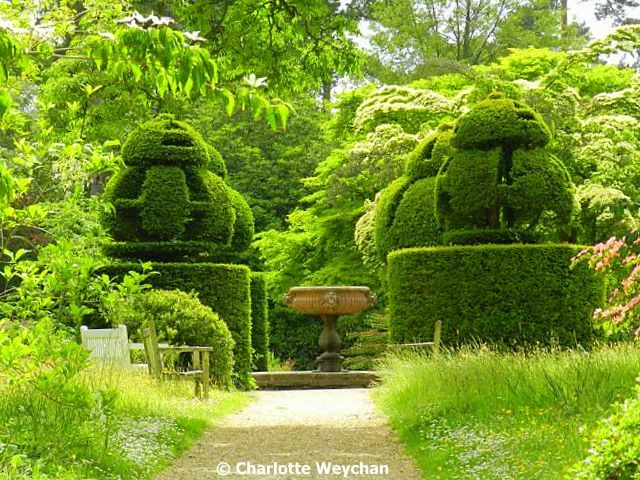 I hope you can find many more gardens you can visit with your husband - if you ever want suggestions I can probably recommend a few!